The scene opens up on a two story home on the outskirts of Rawlins Wyoming. The house is painted white with blue trim. To the side of the house is a large caged in area where two full grown white tigers are sleeping. A rental car pulls up the long driveway and stops by the closed garage. Both front doors open and Kelsi and Mizore jump out of the car. They climb the steps and Mizore opens the door, walking into the large living room. The big screen TV hanging on the wall is currently showing an old Family Feud episode. Hollie is sitting on the couch, her legs up on the table. She smiles at her two new arrivals. Hey guys. Good to see you. Don’t hey guys us. What’s the emergency? We got here as fast as we could. Pretty sure I’ve started having contractions. They started off pretty far apart but now they are getting closer. Just on cue she tenses up, trying to steady her breathing. Kelsi and Mizore rush to her side as Kelsi checks her watch the start timing. Hollie finally relaxes and smiles. Those are so not fun. It will be worth it though when my baby finally comes into the world. Mizore starts to say something when Hollie tenses up again. Kelsi looks back at her watch and her eyes grow wide. That was only three minutes! Has your water broke yet? Yeah about thirty minutes before you got here. Come on I’ll take you to the hospital. I can’t go. I don’t know where Jeff is. No. When my contractions started yesterday, he made a quick phone call Then he told me this morning that he had to go out and get something. I haven’t talked to him since. I’m sure he will be back soon. I have to wait for him. No way he would do that. I’ll take the rental car and go look for him. You get Hollie to the hospital. She stops at another contraction. Kelsi taps her watch again, looking worried at Mizore. I can’t wait to be a Godmother but I’m not prepared to be a midwife Come on Hollie, we will take your car. Don’t worry, I’ll find him. We will get there in plenty of time, I promise. Hollie reluctantly agrees. Kelsi grabs Hollie’s overnight bag and they go through the kitchen into the garage where they help her into the passenger's seat of Hollie’s red sports car. Kelsi tosses Mizore the keys to the rental car as she climbs into the driver’s seat of Hollie’s car. Mizore runs to the rental car and starts the engine, heading out onto the road that leads by the house and into downtown Rawlins. She knows that Jeff has a few hangouts in town he likes to visit. She turns down a business street and immediately notices her dad’s white tiger striped truck parked at one of the local diners. She pulls over a lane of traffic, cutting off a car that honks in anger. She pulls into the lot and parks, jumping out of the car and rushing inside. She looks around to find Jeff at one of the back booths sitting with Brooke McGuire. Mizore runs to the table where the two look at her surprised. Jeff gives her a warm smile. Hey kid. What are you doing here? What am I doing here? What are you doing here? Hollie is in labor and you’re having lunch with another woman?? Mizore it’s not what you think. Brooke sighs and takes a drink of her coffee. Jeff just smiles at Mizore who is looking more and more furious. Listen honey. About twenty years ago, Brooke was my psychiatrist. She helped me work through a lot of my issues. When Hollie went into labor I...sort of panicked. I’ll admit that I was worried about being responsible for a baby. I didn’t know who I could talk to about it so I called Brooke and asked her to meet me here. She’s been a big help to me. I think I’m ready now. Well I hope you are ready cause Kelsi is rushing her to the hospital as we speak. Already? Alright let’s go. We will take the truck. Thanks Brooke, I owe you. I’ll send you my bill. Go take care of your wife and baby. Good to see you again Mizore. Mizore looks like she wants to apologize to Brooke but Jeff is leading her away after tossing some bills on the table to pay for the drinks. They rush out to his truck and Jeff quickly pulls onto the road, darting in and out of traffic. I still don’t understand why you didn’t call me. We could have talked about this. I was ashamed. It was bad enough I wasn’t there for you when you were a child but now I found myself worrying about if I’d fail another kid. I couldn’t let you know that your father was weak. Plus I know you are focusing on the HSW championship at Winter Survival. Well you should have at least discussed it with Hollie. You’re going to be husband and wife soon. You have no idea how excited she has been. No way I could ruin that. By the way, do you know what we are having? No clue. What is it? I don’t know. Hollie gave away the envelope because she wants to be surprised. I really thought she’d give it to you. Nope. Of course me and Maya have been contemplating it. She thinks you are going to have a boy. I think I’m about to have a little sister. By the way I need to text her and let her know what’s going on. She’s not here with you? Where is she? She was getting some last minute training in with Ceno before her Women’s title match. I was finishing up with mom when I got Hollie’s message. Where’s your phone by the way? She’s been trying to call you. It’s here in the car being charged. I forgot to take it in with me when I went to meet with Brooke. Mizore pulls out her phone and sends the text as they pull into the parking lot of the hospital, parking next to Hollie’s car. Jeff is out like a shot as Mizore falls a bit behind, finishing up her text. She hopes that Maya can get up there as quick as she can. She goes inside the hospital and follows the signs to the maternity ward. She walks into the waiting room and is waved down by Kelsi. 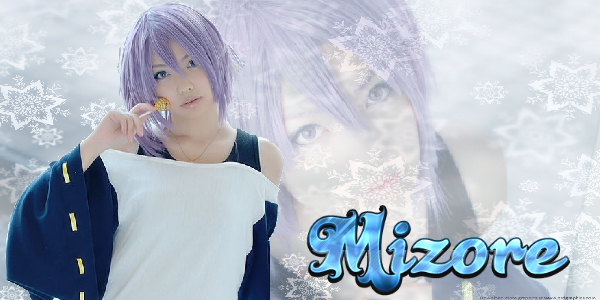 Hey Mizore. They just took Jeff to the back. You made it in plenty of time. Thank goodness. Do you think they will let me go back there? Afraid not. Only Jeff is allowed in there. Hollie’s parents are on their way. Are you excited? You’re about to be a big sister. Very excited. I just wish I knew what it was going to be. Jeff has no idea who Hollie gave the envelope too. Kelsi starts laughing. Mizore seems puzzled by this, looking at Kelsi strangely. It then dawns on her as she cups her hands to her mouth. Wait! She gave it to you? You’ve known all along? So what is it. Boy…..you really think you’d have figured out that Hollie would count on her best friend to keep this under wraps. Kind of surprised by you Mizore. Girl….I never said such a thing. Now you are insinuating. Don’t be that way! Come on.I want to know. Kelsi just smiles and shakes her head. Mizore tries to give her big puppy dog eyes but Kelsi just looks away to avoid them. The door to the back opens and WT walks out, wearing a gown to cover his clothes. He smiles at them and gives a half nod to follow him. They walk toward the back where they find Hollie laying in bed. Kelsi rushes over to her side, Hollie giving her a smile. Thanks for keeping it a secret for me. You really are my best friend. Of course. But come on, we need some details now. Coming in at seventeen point six inches and weighing seven point five pounds please welcome into the world…. Right on cue the nurse walks in, carrying a baby wrapped in a blanket. She hands it off to Hollie who pulls the blanket off the baby's head to reveal the little baby boy. Jeff’s eyes light up with joy as big grins spread across the faces of Mizore and Kelsi. Everyone gathers around the bed as Hollie gently rocks the baby. It looks up at all of them in wonder as they look down at him. Jeff puts his arm around Mizore, bringing her in for a hug as he looks down at the baby. The scene fades out on the new happy family. The scene opens up late at night at the Mean Machine school of wrestling. We are outside of the building, focused on the sign that Mizore is sitting on top of. She is wearing long tights that look like they are made of ice shards, her name spelled out in light blue lettering on each leg. She is wearing a tube top shirt of the same design, this one says: Frost Elite. She looks up as the camera focuses on her, a lollipop stick hanging out of her mouth. The time has finally arrived. Here we are, live at Winter Survival. We are just moments away from my big title match. Jack Michaels vs Mizore Payne Two. Will the great Jack Michaels retain his title or will the young upstart put an end to his reign and get back the championship she should have never lost in the first place. You know my money is on the latter of course. She drops down from the sign and looks at the arena as she can hear cheers echoing from the arena. She walks around the side, heading for the back entrance. In this final hour Jack, I want to be truthful to you. You might think that I hate you. You might think that I despise you for everything that you put me through. But honestly, that’s not true. In fact, I want to thank you. No I have not lost my mind, wanting to thank you for beating the daylights out of me. But you see, you accomplished your goal Jack. Because everything you have put me through has just made me that much more stronger. You have made my life a living hell since I won at Summer Breakdown. From the match I had with you on Slam six all the way through all of Paragon. You forced me to go to my mother for training to learn to fight on your level. And even though my girl Maya thinks I’m going at this wrong by fighting you on your terms, I know it is the best choice of action. Because Jack, you have created your own worst enemy. She gives a nod to the security guard and enters the wrestlers entrance to the arena. She starts heading down the hall toward the ring area. Guess we will never really know if this was your intention all the time. Some people tell me that this is what you wanted. To draw out my hidden potential. Other’s tell me that you just wanted to break me. To send me home out of your business. You have said before you don’t like the direction the company is going in at times. Whatever your plan was, you made me realize a lot about myself. You made me realize that I could be stronger. You made me realize that I could work harder. You made me realize I could be much more wiser. You turned me into a fighter. She chuckles at this. She passes by Kelsi who is warming up for the Sole Survivor match. Kelsi just gives her a high five as she walks by. Right after her is Eighteen, leaning back against the wall. Eighteen just gives her a small smile and a nod as she walks by. Mizore just keeps walking down the hall. I will even say that you’ve made me respect what it means to be a champion. And when I beat you here in a few moments, I’ll be a much better champion then I would have been after Summer Breakdown. I’ll be a champion that you can be proud of. The face of High Stakes Wrestling. A face the wrestling world will learn to respect and maybe even fear. And it’s all thanks to you and Paragon Jack. Thank you. She gets to the entrance where Maya and Annabelle are waiting. She walks up to Maya and gives her a big hug and a kiss. Annabelle helps lead May away as Mizore stops in front of the entrance to the ring. The time for talk is over Jack. No more of your games Jack. No more trying to get into my head. No more training with mom. It’s all about the here and now. I either walk out there and put you down, winning back the World title or I fail and go to the end of the line. But I have come way too far to come home empty handed. Just like the rest of Paragon Jack, you are about to become the next victim, trapped under the ice. Mizore gives a little nod to the man working the sound station. The camera switches to ringside where the opening chords of Christina Aguilera's Fighter starts playing in the arena as the lights dim. The song kicks on full as a blast of cold air rushes out of the entrance, freezing the entrance stage and ramp leading to the ring as Mizore comes through the curtains, the cold air swirling around her and her hair standing on end in what looks to be icy shards. The fans erupt as Mizore makes her way to the ring, ready to take back what is rightfully hers.